Fifteen Orthodox college students joined together to spend their Spring break doing mission work. 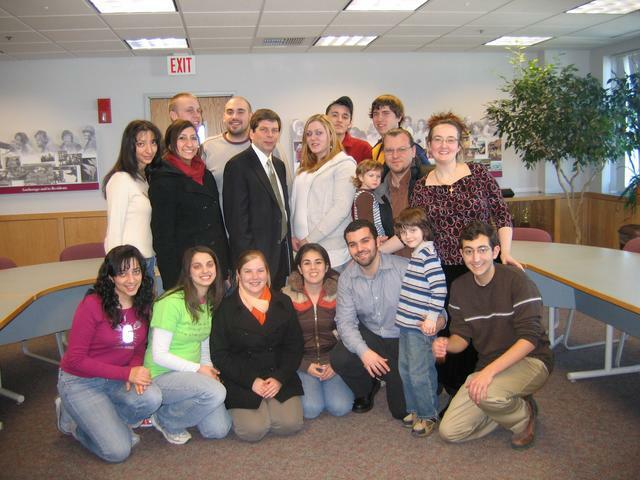 Students came from various states in the US, including Florida, Georgia, Iowa, Texas, Kentucky, Ohio, New York, New Jersey, and Boston. A fulfilling trip was had by all. The students chose to participate in a Real Break. This would be quite an alternative to the usual party atmosphere of Spring break. 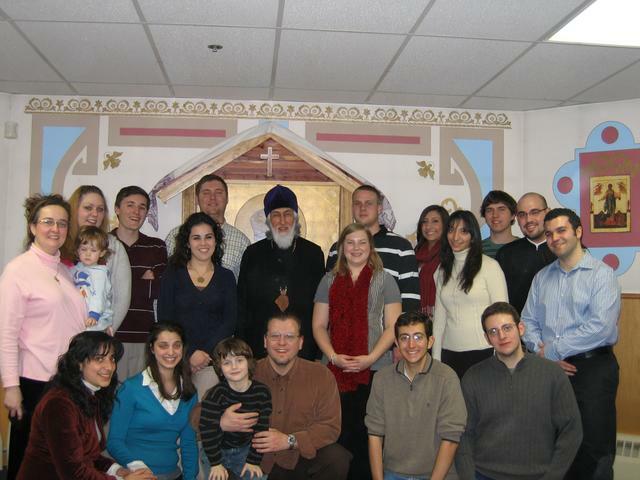 The OCF (Orthodox Christian Fellowship) students chose to work on a mission to help others during their break. Special recognition is given to two of our own Serbian students of St. Sava Cathedral, Cleveland. Ms. Tanya Neric and Mr. Adam Vlainic were a great help with the mission. Tanya and Adam are well known at the St. Sava parish. Both were long time Sunday school students and both are currently active in our SSS Njegos Choir. Actually, Adam is currently helping to conduct the choir in church on Sundays and Tanya is a folklore teacher with our youth group. It is amazing that these two busy students are able to dedicate so much of their time to our Orthodox faith. We are very proud of them! The experience was rewarding and taught the students how to work towards a goal as a team. Our goal was to help a needy community through contact and much physical labor. We set off to minister in the Anchorage and Eklutna area helping with remodeling projects and helping Alaskan inhabitants in need. One of the main projects would take place at St. Innocent’s Cathedral in Anchorage. The students were encouraged to introduce themselves to the local parishioners and learn more about the parish. All students participated in the various services and a few helped the choir sing responses. Our students were eager to partake in the holy Eucharist as well. We attended many church services including Divine Liturgy, pre sanctified Liturgy, Akathist to St. Herman of Alaska, Lenten vespers and Orthodoxy Sunday services. We were honored to have several influential people take time to meet with our group. We had a wonderful question and answer evening with His Grace Bishop Nikolai of Alaska. He took time out of his busy schedule to meet with our students and gave them spiritual support. Bishop Nikolai presented each OCF student with a beautiful gift bag which had several items, including a large icon of St Innocent, Metropolitan of Moscow and Enlightener of the Aleuts and St. Herman of Alaska, Wonderworker. Also, everyone received an icon of the newly restored Sts. Sergius and Herman with St. Nicholas Icon from the Church over the grave of St. Herman on Spruce Island. The efforts of our group would be known outside of just the local parish. Mayor Mark Begich of Anchorage greeted our Real Break team and acknowledged the wonderful program offered through the OCF. He thanked the group for coming to help the local church community. He encouraged the students to stay focused in life and congratulated them for choosing to do such a noble group effort. Serving the needy is indeed an activity that many of our youth don’t actively participate in. He thanked the students for their help and wished them a safe journey back to their homes. President Dorothy Cook of the Native Village of Eklutna also met with our OCF team. Ms. Cook reviewed the history of the Native Alaskans. She spoke of village life and the evolving of their people. Ms. Cook acknowledged the work that our students were doing to help build a kiosk in her city. She encouraged the students to remember their roots and be conscience of the land and its beauty. The team experienced wonderful group discussions on this transitional period in the lives of the students. Becoming an adult involves much responsibility and self sacrifice. As participants in Real Break, our students were off to a great start! Apart from a few sing along songs sung during the trip, it was clear from the first day that this was not a camp trip. We had a group of young adults who were eager to serve and to grow as individuals and as a group. This was truly an experience of spiritual growth. Group unity was experienced by all. Most of the students did not know each other prior to the trip. We completed two conference calls of introductions prior to the trip and were eager to meet each other in person once we arrived. We worked as a team to offer hope and to be witnesses to Christ through our work efforts. The local community was very accepting of us and showed much appreciation towards our efforts. The renovation work on the hall was impressive as was the building of the kiosk. We removed all carpeting from the church hall. The next step included days of removing the old adhesive from the floor to prepare it for tile. Dust filled the air and face masks were necessary. The students worked so diligently and were determined to wake early and work late. There was great team effort and thankfully, our team leader, Milan Damljanovic, was experienced in construction projects. We used many sanding machines and other tools to help remove adhesive. Milan leveled the floor by repairing cracks and prepping it for adhesive. The student worked many back breaking hours. Once the floor was prepared we began laying the tiles. A new life was given to the hall! The hall appeared cleaner, brighter. We were all amazed at the difference. We had much positive feedback from the local parishioners. They really didn’t think that we were going to be able to get the tile down in the Cathedral knowing ahead what great work it would be. Over 1,600 square feet of tile were laid and a kiosk was well underway at the end of our week! A couple of students volunteered daily to help build the kiosk at St. Nicholas church in the village of Eklutna. This project was started and closed in by the end of the week. The students helped to create a foundation and begin construction of a kiosk which will be used in the future as a gift shop. This work was all done outdoors. The weather was cold but, that did not deter our students who worked, determined to help the parish in need. Many students felt that when they returned home from the trip they could continue their work though various IOCC projects or Habitat for Humanity or helping at local soup kitchens. The students were motivated to help those in need and share their talents. The group was sad to come to an end. The week went by quickly and we were so busy that time flew by us. We are proud of the work that was completed and look forward to sharing this experience with others. Many thanks go out to all of the parishes, organizations and individuals who donated funds to help make this mission a reality. All of the students raised their own funds to help them make the trip. God-willing there will be a new mission trip in the near future. The experience was fulfilling and each individual went home with memories that will last a life time.